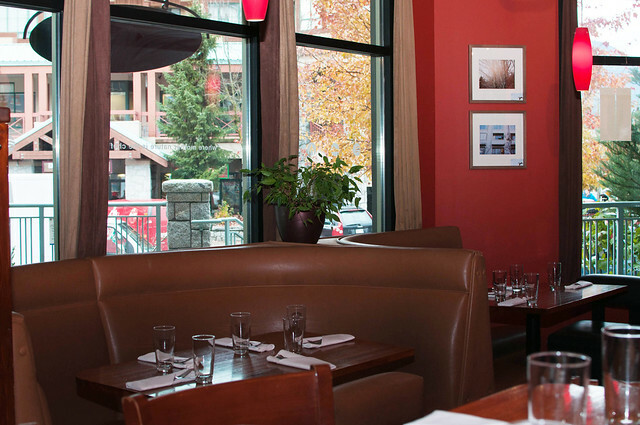 Whistler’s Summit Lodge and Spa is conveniently located near many of the resort’s top restaurants, shops, cafés and Whistler Conference Centre (making it the perfect sleep and home base for Whistler Cornucopia, the reason I was in town). 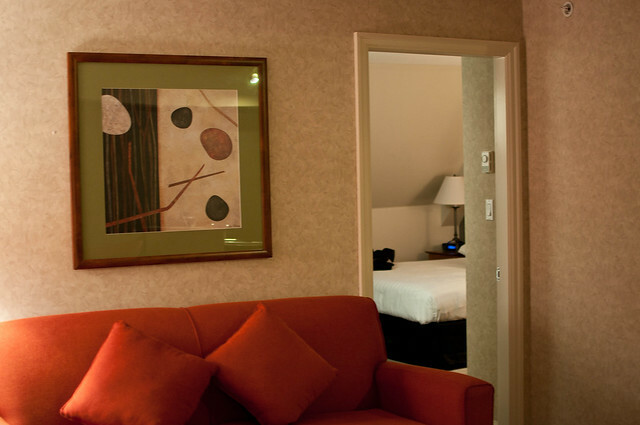 With 81 rooms of varying sizes and configurations, the hotel is on its way to achieving boutique status. 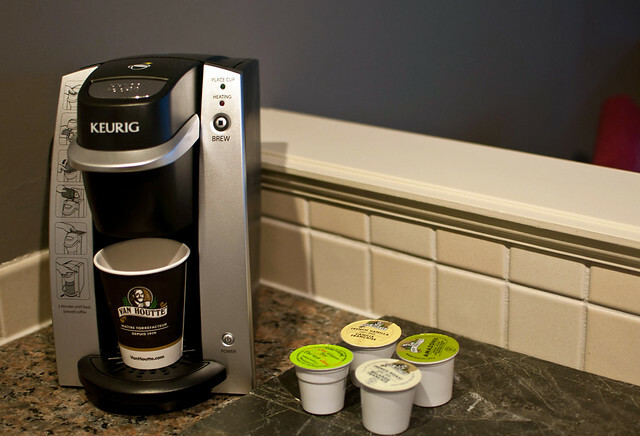 Over half of the rooms have just been renovated, receiving modern touches such as Keurig coffee systems, ceramic cooktops in the kitchenettes, and revamped paint and artwork. The rooms are being done in phases, so as to keep visible signs of work to a minimum. 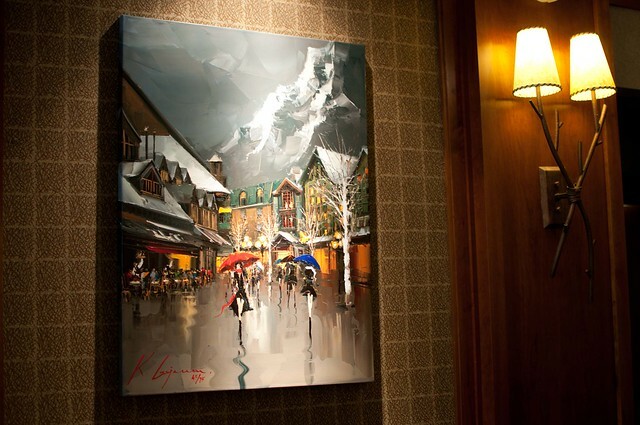 The lobby has a lovely collection of artwork, all created by local artists. 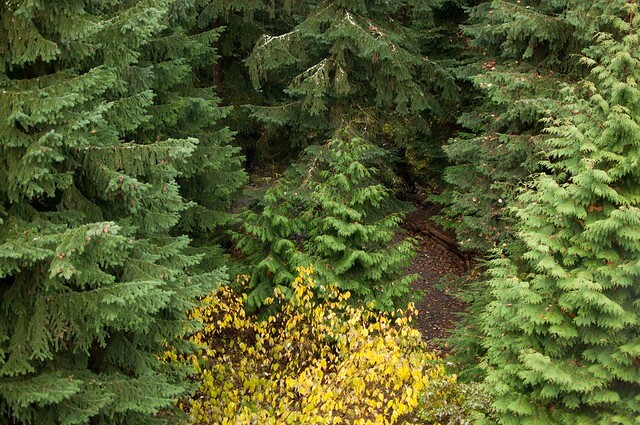 Summit Lodge and Spa has been recognized with a green 3 Key rating by the Hotel Association of Canada for its commitment to the environment. 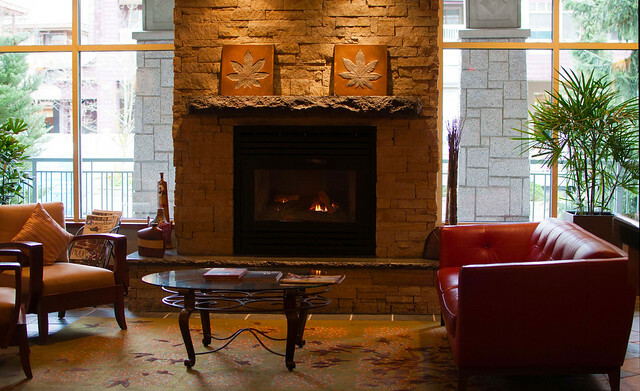 The hotel lobby also serves as an inviting spot to relax by the fireplace. 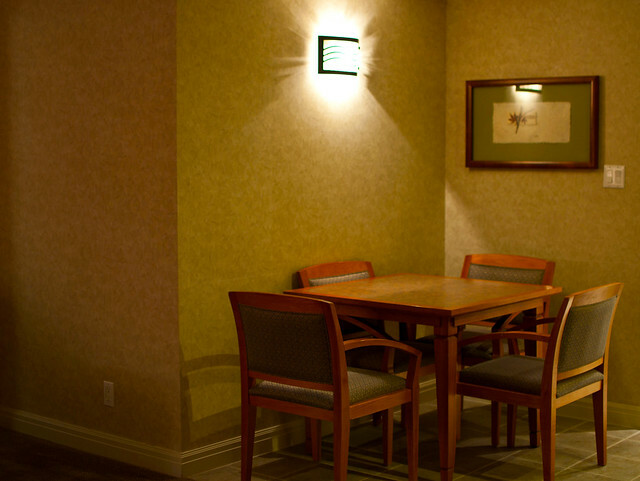 All rooms at the Summit contain free wifi, well-stocked kitchenettes (with dishwasher), balconies, and fireplaces. I was given a wifi access code upon check in, but only used my Rogers 3G network while in Whistler. 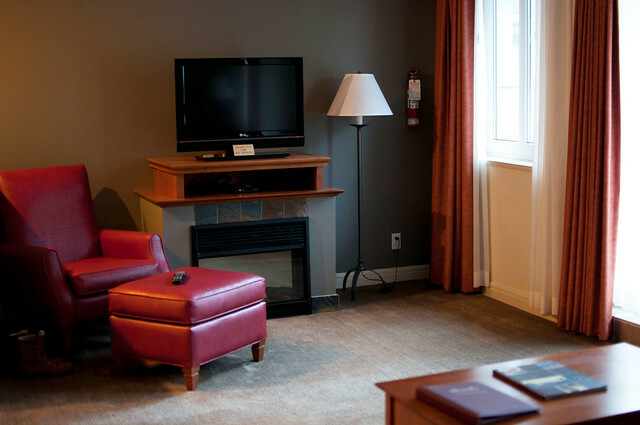 The suite has two flatscreen TV’s (one in the living room, and one in the bedroom) with an extended selection of Shaw cable channels. I also noticed two telephones, an ironing board and iron, and bathrobes. My room on the 4th floor was located in the back of the hotel, offering a view of the pool, jacuzzi, and green belt nature trail that edges the property. 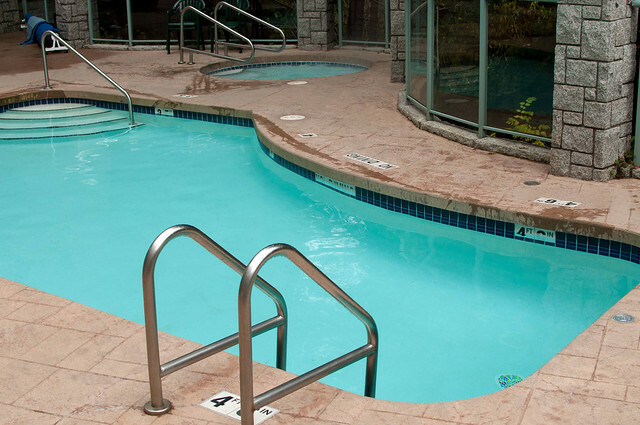 There’s also an indoor sauna and changing area near the pool. Although the hotel was booked solid with Cornucopia guests (plus families with small children), it never felt too busy. And that’s a blessing. I’ve stayed in too many Whistler hotels that become a zoo during long weekends and major events during the year. The Summit has on an onsite spa (Taman Sari), though I didn’t have the chance to book any of their massages while at the hotel. Taman’s treatments are based on traditional Javanese methods. 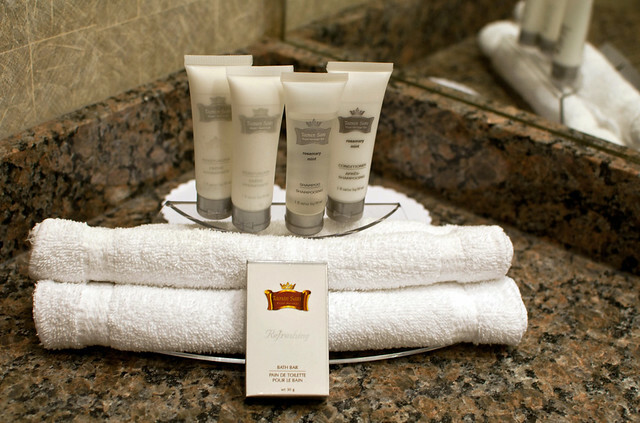 Their brand extends to the guest rooms, all stocked with bath and skin products. 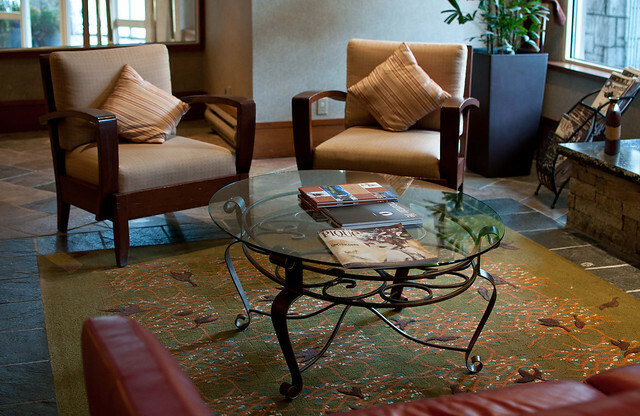 A few amenities that I didn’t use include a complimentary pet program, VIP lounge and service, meeting room, free ski storage and complimentary shuttle to the lifts. 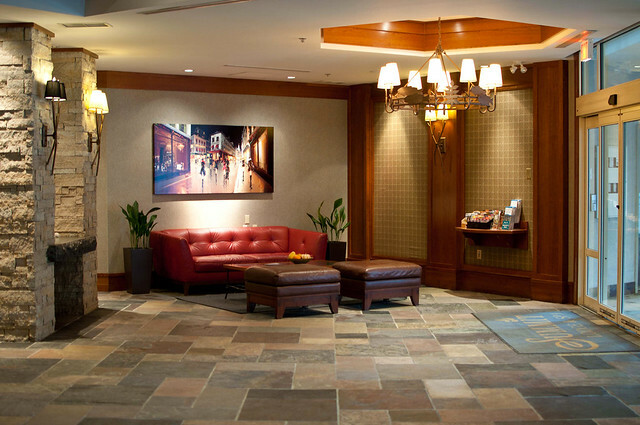 The hotel is suited for business travellers, families, and their small well-behaved pets (there’s a VIP pet chalkboard at reception, so that guests can add their pet’s name upon check in). Although the hotel doesn’t have any restaurants, right next door is Elements Urban Tapas Parlour, where I had a delicious brunch one morning, and Crepe Montagne across the street, where I enjoyed a couple of lazy morning crepes, before taking in a full day and night of Cornucopia events. Both restaurants have a nice variety of breakfast and brunch options. Also nearby is Sachi Sushi, Tandoori Grill, Dup’s Burritos, and Splitz Grill, adding even more choices for all dining budgets and tastes. Just crossing Main Street, you’ll immediately be on the Village Walk, where more cafés, shops, and restaurants can be found all the way to the ski lifts. 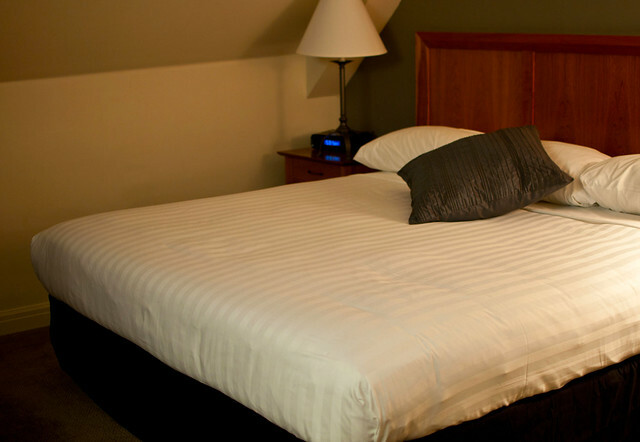 I had a great sleep on the king size bed in my one bedroom suite (average price $300/night). The room’s lighting wasn’t harsh either. An iHome docking station on the night stand will charge both an iPod and iPhone. I was able to charge my phone while listening to my Nano (I took a couple of iThings with me for my Zipcar review/trip). In addition, a few soft music channels and nature sounds can be pre-timed just before you hit the pillow. 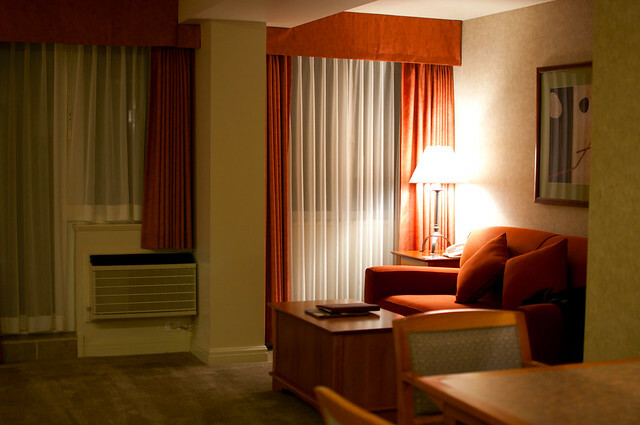 Heating and humidity controls help to avoid an overheated night. As there were no windows that opened, I kept the balcony door slightly open for fresh air. I was never too warm nor too cold in the room. I also noticed that the couch is a queen size sleeper sofa. All of the seating is cozy and comfortable. I had no problems with any of the plumbing, electricity (though the light-saving bulbs take a moment to gain full force), or water pressure during my stay. Once the final room renovations are complete, this is going to be a beautiful spot to enjoy any time of the year. Everybody on staff was helpful and friendly. The team is young and aims to keep a trendy, stylish look to the property. Underground secured parking is available for $20/day. 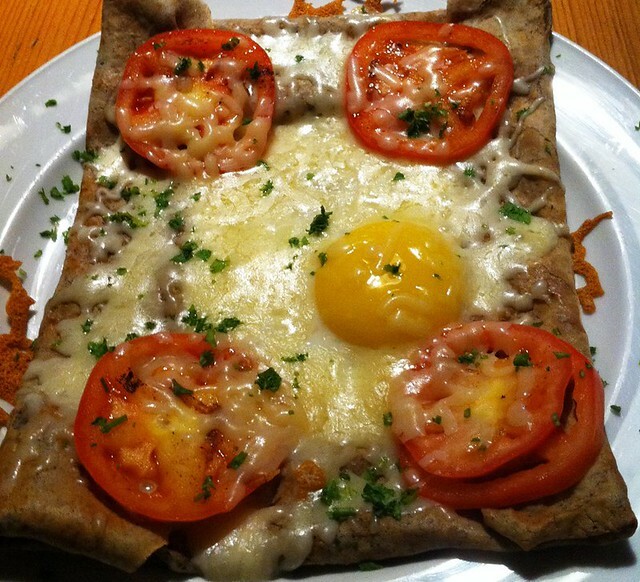 The hotel also offers a discounted breakfast (at Montagne Crepe) plus parking package. 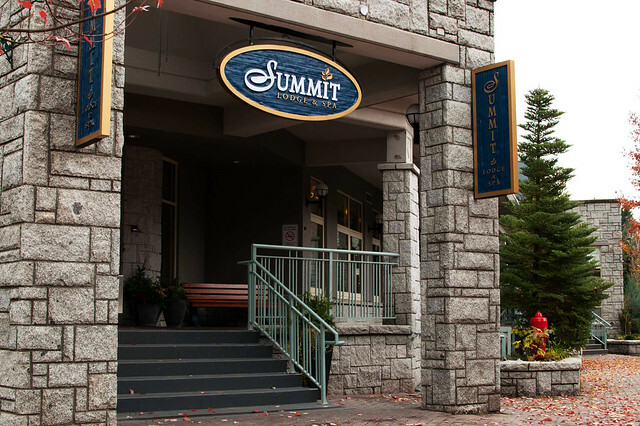 Summit Lodge & Spa is located at 4359 Main Street in Whistler. Visit the website for details and reservations. We were guests of the resort. Opinions, as always, are our own.